We've heard a lot of talk lately about the Rainy Day Fund: Should legislators tap it to cover this year's $4.3 billion deficit — and should they resort to it again to help close a massive shortfall in the next biennium's budget? 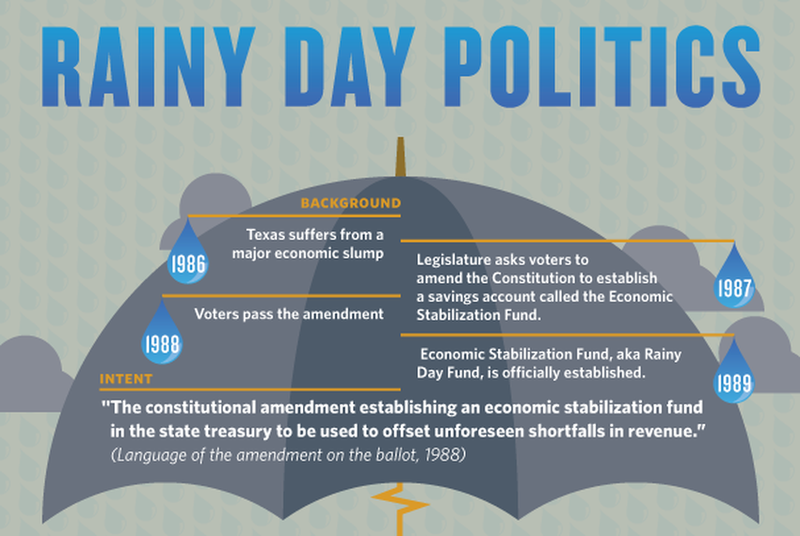 As state House and Senate lawmakers undergo the contentious process of drafting their 2012-13 budgets, the Tribune has created an infographic to help Texans understand the intent of the Rainy Day Fund, what it takes to withdraw from that savings account, and the political arguments for and against using it. Some say it should be drained, if necessary. Others have come up with a list of reasons for preserving it. What do you think? Share your thoughts with us. Download a print resolution version of the infographic.